Learn all about Africa’s most majestic mammal at a local elephant sanctuary. Gain hands on experience of a variety of scientific research methods. Increase your knowledge of fundamental scientific principles. Educate local children about the wonders of the natural world. This program aims to provide a practical conservation experience covering the key topics of basic ecology and biodiversity. 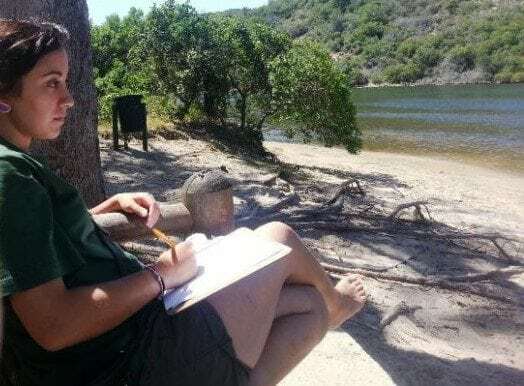 You will be living in the famous Garden Route, South Africa, studying a variety of forest and fynbos species and assisting our conservation team with ongoing research projects. 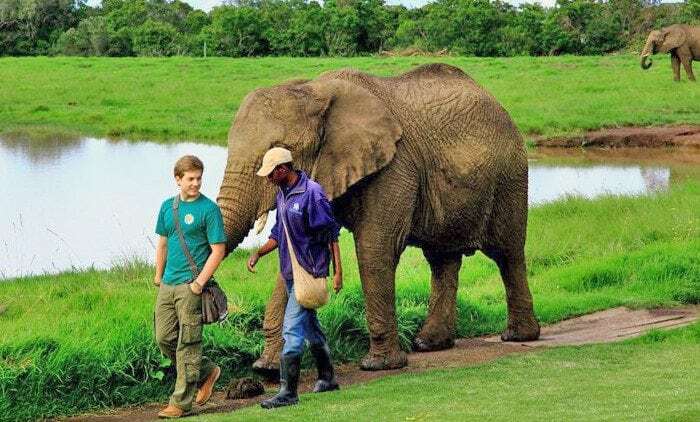 You will also have the exciting opportunity to experience African elephants in close proximity. 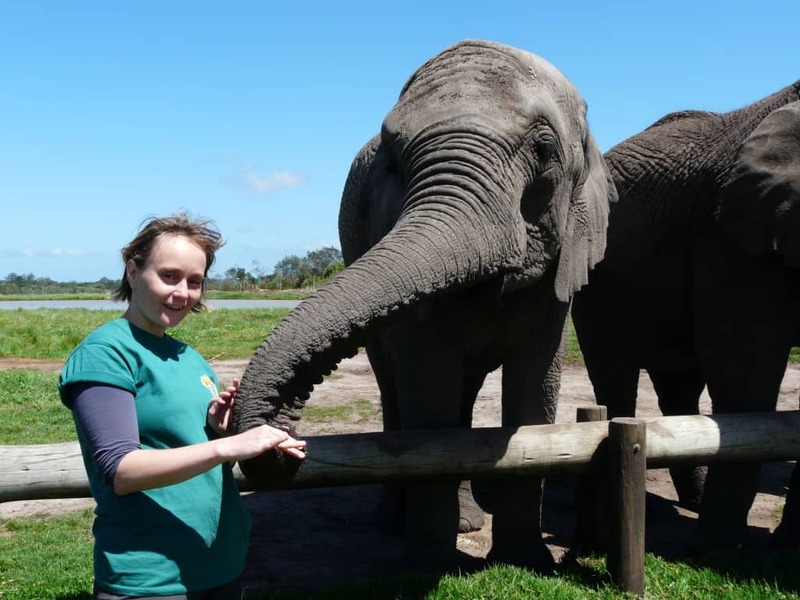 You will work at a local sanctuary, home to rescued elephants where you will acquire in-depth knowledge of African Elephants and assist with ongoing behavioural research. Throughout the program you will enjoy a variety of informative lectures, helping you to gain theoretical knowledge of basic ecological principles. As well as gaining a great deal of knowledge yourself, you will have the opportunity to educate local children about the wonders of the natural world! 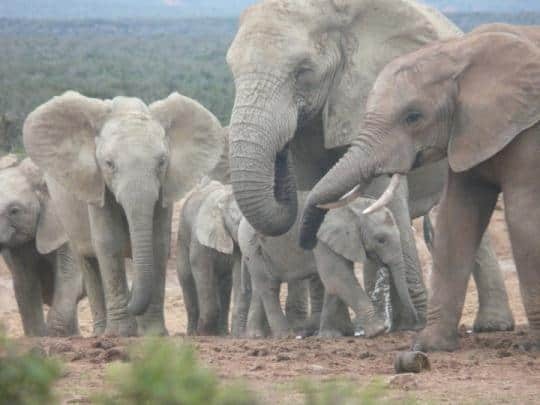 Join this program for 4 weeks or more and you will have the unforgettable experience of visiting Addo Elephant National Park. You may also have the opportunity to contribute to ongoing research of this elephant population, depending on current needs. You will have access to all amenities including running water, electricity and internet. Most bankcards work at local banks (VISA, MasterCard, AMEX). You will also find that you can purchase almost anything at local shops. Recommended for those who enjoy visiting restaurants and shops, as well as having daily communication with friends and family at home. Specific qualifications are not required, although this program would definitely be of interest to and benefit those studying or working in the field of conservation. 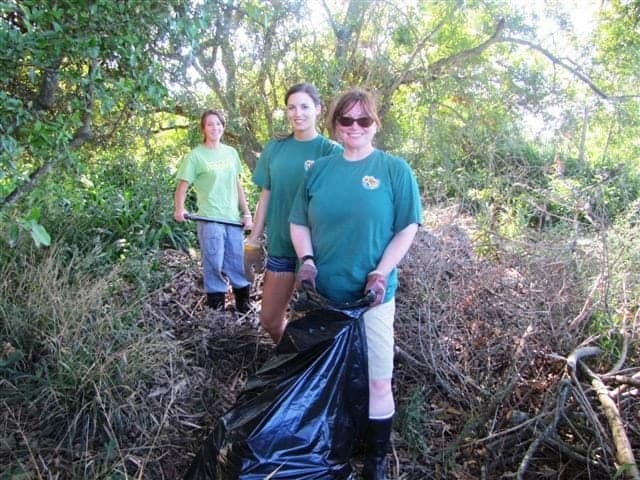 You need to have a passion for conservation and nature and a love for working with the community. You need to be hard working, mature, motivated and able to show initiative. Good health and physical fitness are also required. You also need to be confident with speaking English. This project has a global travel services partner that can assist with all your travel plans! You will either need to fly into Johannesburg or Cape Town and catch a connecting flight to GEORGE (GRJ). It is our nearest airport. You can also get the bus from Cape Town or Johannesburg which is a good way to see the area if you have time before your arrival date. If you decide to take the bus, a return bus ticket is included FREE of charge and we can help book this for you. We are happy to assist with organising your Cape Town or Johannesburg stay including accommodation and tours! On departure, your project coordinator will transport you to the airport and/ or assist with any further travel arrangements. If you are travelling further through Africa we are more than happy to provide any advice or support in planning your onward journey. We will provide you with a comprehensive Pre-Travel Advice pack when you confirm your booking with us that will outline all our recommendations for flights, packing and in-country advice. The African Conservation Foundation is an award-winning charity focused on protecting Africa's endangered wildlife and their habitats. We build local capacity for long term sustainability of projects. Sign up for our newsletter and receive the latest wildlife news and updates via email. Thank you! You successfully subscribed!